Is there a better alternative to FinchTV? Is FinchTV really the best app in Science category? Will FinchTV work good on macOS 10.13.4? 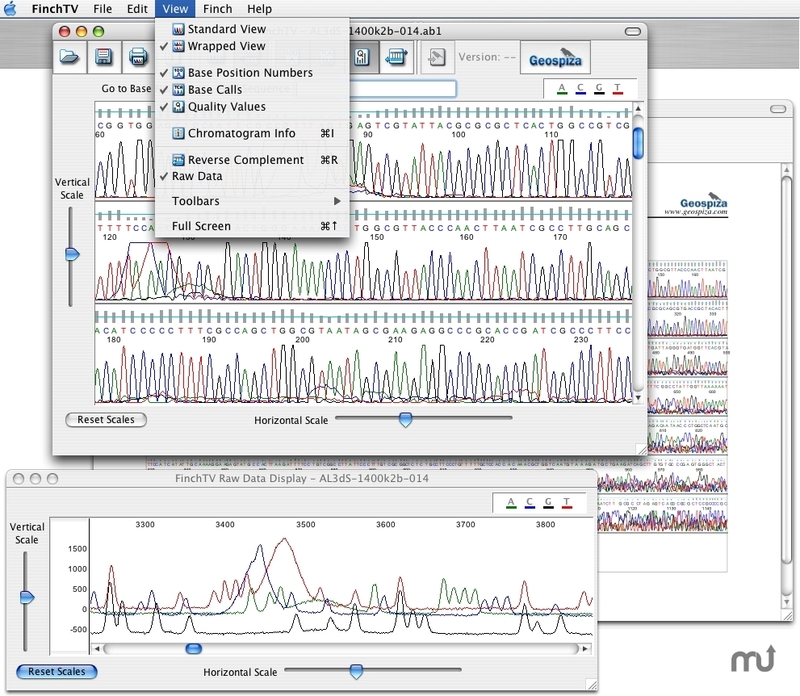 Geospiza's FinchTV is the popular way to view DNA sequence traces on Linux, Mac OSX, Windows, and Solaris. FinchTV started as the only chromatogram viewer that can display an entire trace in a scalable multipane view. It continues to lead with raw data views, regular expression searching, and multi-platform support. Reads chromatogram files in the most popular chromat formats. Displays quality values above the trace (when available). Allows display of the chromatogram trace as a single pane or in a wrapped view. Print your trace with custom scale settings. View and edit chromatogram files stored in Geospiza's Finch Suite database, along with quality trimming and vector masked regions. Save edits back to the Finch Suite. Interface updates for OS X 10.4 (Tiger). Allows the user to view the DNA sequence and additional chromatogram details when available. Provides users with the ability to print out their trace all on one page or with a set number of panels per page. Gives the option of exporting the DNA sequence to a FASTA formatted text file. Edit your base calls, and insert or delete bases. Select and copy sequence data for use in other applications. Save your edits to a new chromatogram file for later use. Search your sequence data using regular expressions or simple base queries. View raw data from AB1 files. Reverse complement traces and sequences.